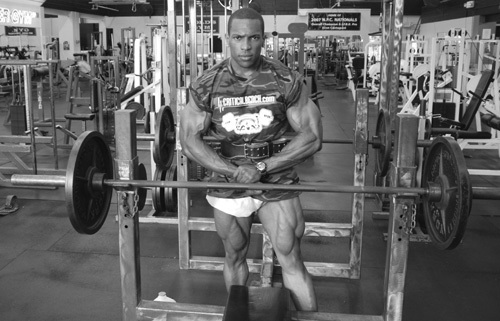 "How A Long Lost Secret Of An Eccentric Bodybuilding Genius Can Double Your Muscle Mass Gains In 45 Days Or Less With This Post Workout Formula... Guaranteed!" Get the maximum results from your hard-core workouts... by flooding your system with high-octane anabolic and anti-catabolic goodies that FORCE your muscles to grow denser, stronger and faster than you ever believed possible! You can build lean muscle mass as fast as possible because Nitrobol has an amazing 99% Net Absorption Rate (NAR). It goes immediately to muscle cells at precisely the right time needed for maximum muscle growth. Accelerate recovery time from exercise by 50%. 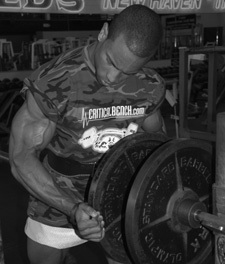 Grow faster from each and every workout. 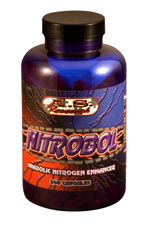 Nitrobol increases nitrogen balance when taken between meals, after your workout and on an empty stomach before sleep. Lose stubborn body fat while building ripped muscle mass... without any dietary changes. A high rate anabolic inducer - Nitrobol keeps your body in an anabolic state so you're constantly packing on muscle tissue... not tearing it down. Completely absorbed within 19 minutes... compared to four hours required by dietary proteins. That means high quality muscle-building raw materials are available to the muscle cells as quickly as possible. .
Rheo H. Blair was the first man recognized as a nutritional genius when it came to bodybuilding diet and supplementation. He regularly performed physique transformation "miracles" on hundreds of "less than average" bodybuilders. Throughout the 50's, 60's and 70's, testimonials abounded about the amazing physical transformations Blair performed on hundreds of "hopeless cases." He was regularly turning 97-pound weaklings into heavily-muscled men with his special protein formulas and vigorous volume-based weight training routine. Even advanced bodybuilders were reporting similar results from the Blair system. "After being on Rheo's program for only three weeks, I made more gains than I had in the past six years. I put almost a half-inch on my arms. And after two months I [put on] almost 20 pounds [of pure muscle]." From An Average Bodybuilder To Mr. America... In Less Than Four Months! Under Blair's tutelage, Jim Park went from an unknown bodybuilder with an average physique to Mr. America... in less than four months! And even more amazing... this miraculous transformation was done without drugs! This was back in the 50's before steroid use became so widespread in bodybuilding. Although he had a reputation as an eccentric, all the great bodybuilders of the 50's, 60's and 70's (Arnold, Frank Zane, Larry Scott, etc.) followed Blair's advice and got in the best shape of their lives. Blair had the secret of achieving steroid-like results before drugs were even known to the bodybuilding world. One of Blair's secrets was his special protein formula. Blair's famous protein powder was based on the amino acid ratios in mother's milk. It was years ahead of its time... and it packed on muscle like crazy. Unfortunately, Blair died an untimely death in the early 1980's and many of his bodybuilding secrets died with him... including the exact formula for his protein powder. Some say it was better than anything on the market today. But almost forgotten were Blair's jealously guarded amino acid capsules. This special formula wasn't available to just anybody... only his very elite "inner circle" clients. Blair's amino acid compound was the "under the table" formula responsible for the miraculous transformations experienced by his most famous physique transformation students. Blair's amino acid capsules were sold for $1.00 per capsule! And this was back in the 60's! That's equivalent to almost $12 per capsule in today's dollars! But the top physique champs of the day were willing to do almost anything to get their hands on Blair's aminos because of their almost magic muscle building and fat burning effects. After years of research and lots of real world "in the gym" experimentation, my good friend Dr. Nuka Reddy and I have finally made the breakthrough every bodybuilder has been hoping for. Blair's special amino acid formula, lost for more than four decades, has finally been rediscovered and updated with the most current scientific breakthroughs. We have combined Rheo Blair's rediscovered amino acid secrets with the latest cutting-edge science to finally create the FIRST honest non-hormone based supplement formula tailored for serious bodybuilders. My partner Dr. Reddy is the certified "science nerd" and I'm the "Human Guinea Pig." He studies all the scientific journals on muscle enhancement and I try everything out in the gym. We've tried some really crazy things... and we've made some major bodybuilding breakthroughs, too. In our quest for maximum muscle in minimum time, we've studied the effects of nearly every bodybuilding supplement out there. Most of them are pure crap, as you already know if you've ever wasted money on them. At best, you get a little bit of a boost... but it's nothing earth shattering. 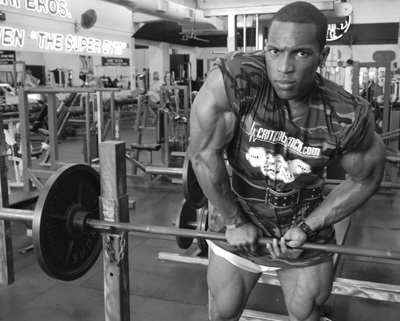 But there ARE ways to dramatically speed muscle growth with proper supplementation. Rheo Blair was ahead of his time and knew many of these secrets. The problem is... 99% of the supplements available today try to do it by mimicking your body's anabolic hormones. 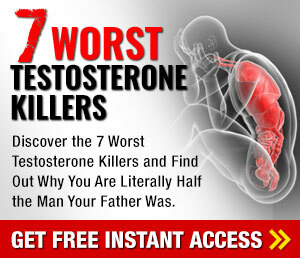 In other words, they try to artificially stimulate the production of testosterone and growth hormone. But the results are usually pretty pathetic. So we decided to take a step back from hormonal-type supplements and research everything we could that has been discovered about muscular enhancement. We plowed through thousands of pages of all the recent cutting edge research trying to find these secrets. We also interviewed every former Rheo Blair student we could find and delved into everything we could get our hands on from the Rheo Blair archives. And we discovered something no one had ever realized before - namely that the ONLY scientifically-proven way to significantly stimulate your natural anabolic drive without steroids or pro-steroids (in a way that will produce the kind of results bodybuilders want)... is to flood your system with a highly efficient supply of "profile optimized" protein and amino acids precisely formulated for protein synthesis. That... and give your body the means to absorb them into your muscles efficiently. 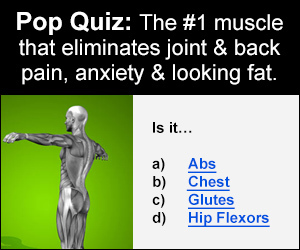 See, protein and amino acids are the ONLY things that count in building muscle. Without enough of these building blocks, you could ingest all the steroids in the world and not add another ounce of new muscle mass. It works like this: Protein is broken down into amino acids in your system. Some of those amino acids get burned up as fuel... others get stored in your liver or as fat... and the rest are used to create hormones as well as build and repair muscle (and other organs). Anabolic steroids increase that last part - the anabolic drive of amino acids. Combined with exercise, you build more muscle. 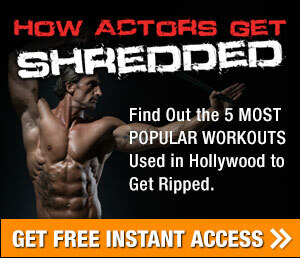 But not everybody wants to use steroids for a variety of different reasons. It's a metabolic process called "Targeted Anabolic Drive", or TAD for short. The problem with TAD is that it's almost impossible to pull off without a precise "profile optimized" protein/amino acid source... and 98% of the commercially available protein supplements simply have crappy amino acid profiles that won't support TAD. So, with the help of some of the most respected chemists in the industry... and in Dr. Nuka Reddy's laboratory with some of the tightest security available... we did what no one else has ever accomplished. We told the scientists what we wanted, as bodybuilders... and they created a supplement that does exactly what it promises. Introducing Nitrobol�... A Potent Anabolic Inducer That Allows You To Grow From Each & Every Workout! Nitrobol is a profile optimized, rapid release protein synthesis formulaconsisting of a proprietary blend of eleven essential amino acids. It is designed to increase muscle mass in the shortest time possible. The base formula of Nitrobol was originally developed to help nourish starving children in third world countries and help build their lean muscle tissue and restore health as quickly as possible. I believe Nitrobol is one of the best protein supplements ever because it has a "Net Nitrogen Utilization" (NNU) of 99%. That means that 99% of what you take in is utilized by your body! Compare that to whey protein, which yields a NNU of only 12%! See, most of today's leading protein powders offer 17 grams of whey protein per serving. However, the NNU is only 2.04 grams. That means only 2.04 grams of the 17 grams will be utilized by your body. In comparison... it only takes 2,000 mg (4 capsules) of Nitrobol to equal the 17-gram serving of today's leading protein powder! Nitrobol is pre-digested and fully absorbed in less than 19 minutes. This means the muscle-building aminos get to your muscle cells FAST to induce and support muscle hypertrophy (growth). Regular dietary protein takes up to 3 to 4 hours to be digested.